Well, 2016 was quite a year; so many great musicians and celebs dying; the whole Brexit fiasco, Big Mother Theresa May in power and not to mention despicable Trump being elected. It’s difficult to look back and take stock of the good stuff that happened. 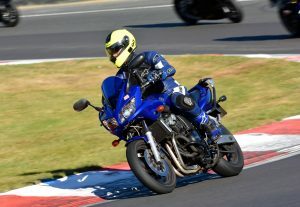 But, my wife finally finished her PhD, my best mate from college got married, I popped my track day cherry and even managed a whole year without falling off! More track days. It was great last year at Brands Hatch, definitely want to do more. Off road riding. Something I’ve never done, but definitely want to do. Do more videos. Haven’t had chance to do many lately, but I have some ideas I want to realise. Help my wife get through her IAM. She starts this month, so look out for some reports on her progress. Many thanks for all the support and following us in the past, I wish you all a great new year of biking!